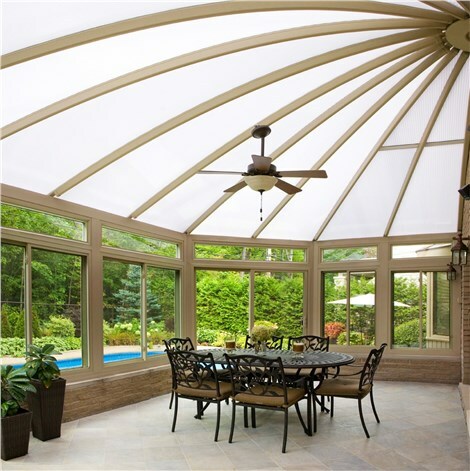 Using eco-friendly materials and processes, we add stunning sunrooms, windows, additions, and more! Although Sunview Enterprises was founded in 2009, our family has been active in the sunroom and window business since 1950. Over the last 65+ years, we’ve perfected the art and science of Long Island home renovations, all while maintaining our longtime commitment to environmentally-friendly products with the quality necessary for lifetime performance. Quality: We work with proven manufacturers so that you won’t ever have to worry about the long-term performance of our products. For total peace of mind, we also back our sunrooms, kitchens, and replacement windows with fully transferrable double lifetime warranties! Resource Efficiency: Our company was founded on the principle of environmental responsibility, which remains a guiding value in every project we take on. From reusing and recycling waste to installing eco-friendly materials, we do our part to respect the earth. Energy Efficiency: Installing energy-efficient technology not only conserves our planet’s precious resources; it also saves you money! Our high-performance windows and other insulating products are designed to minimize your reliance on costly energy. Durability: At Sunview Enterprises, we never take shortcuts on our work. To make sure your home improvement lasts without the need for constant repairs or replacement, we employ tried-and-true techniques for solid weatherproofing and construction. We’d love to learn more about your Suffolk or Nassau County home and discuss how we can improve its style and efficiency for a price you can afford. To learn more about our replacement windows, kitchens, sunrooms, or basements, give Sunview Enterprises a call today! You can also get started with a free cost estimate by completing our quick online form now.